Film and video editing were different processes in the analogue era of television. But at some point film images on celluloid had to be transformed into a video signal for broadcast. This process is called telecine. Each process had advantages and disadvantages. 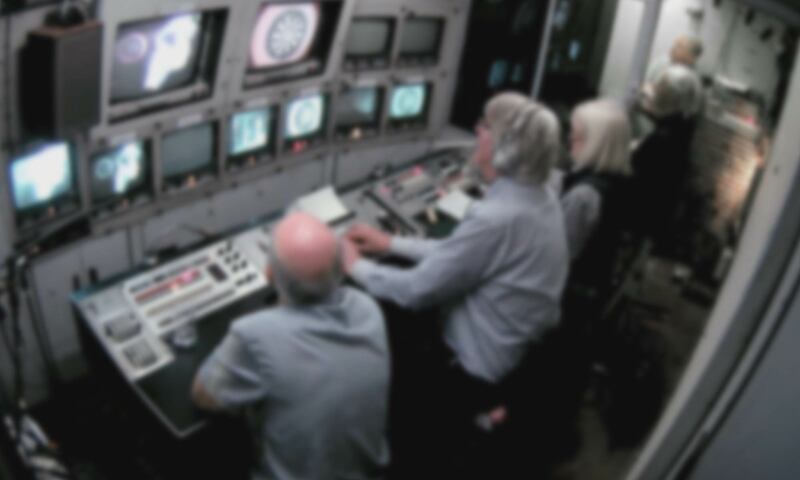 Video provided live editing, both for studio and outside broadcast, by simply selecting which camera input to use. Editing video after the shoot, however, was expensive and often technically difficult. Film offered more creative possibilities and greater ease and accuracy of cutting, until digital video editing was developed. Film editing was borrowed from cinema. It offered a more flexible process which used cheaper equipment. However, film editing took time and involved expensive film laboratory costs. Video recording was not available until videotape was developed in the late 1950s (20 years after the first regular TV broadcasts). But electronic videotape editing did not exist at first. It gradually developed during the 1960s, using a laborious process of copying the desired shots onto another tape. This meant a loss of image quality with every copy. Shots had to be added on by one in their linear sequence. Improvements came with the computer driven editing and limited digital image storage of the 1980s. Digital editing, and then tapeless production, arrived in stages. Digital editing developed as data processing became faster and data storage cheaper. Once digital editing could match film editing for flexibility, film was quickly abandoned as a method of producing everyday television. Digital editing also developed many possibilities for creative image creation and manipulation, including the legendary Quantel Paintbox. In this video Mitch Mitchell and Nyree Kavanagh recall their first impressions of the Quantel Paintbox and the difficulties with animating graphics with a piece of equipment that only operated on one frame at a time. Here Nyree recalls the multiple functions of the Quantel Express, including creating storyboard concepts, simulating 3D, and the various visual effects that the machine can create. Here Nyree and Mitch recall the versatility of the Quantel and compare it to more contemporary means of graphic design, including Photoshop. 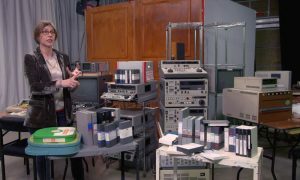 Explore other pages in the section to learn about editing U-matic and Betacam video tape, digital non-linear editing. 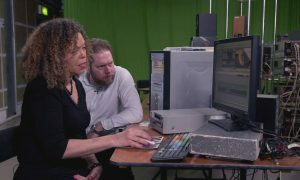 Hear former videotape editors and graphic artists talk about their careers and training, and learn about the skills required of the television videotape librarian. Browse our video collections on Figshare, and see the same content on our YouTube channel.